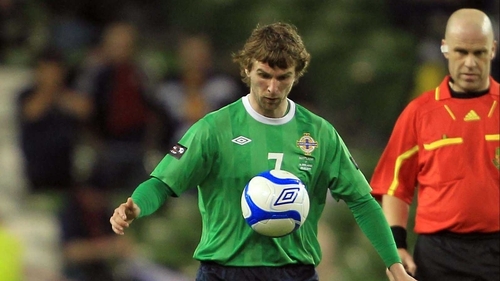 Paddy McCourt is training with Hibernian as he looks to secure a new club. Leroy McCourt, the player's brother and agent, said the winger is looking to make a move to America later in the year and Hibs could be a short-term solution. He told the BBC: "It's really just to keep his fitness up. "He knows the manager from their short time together at Derry. "He's just been in today to have a look around and do a bit of training. "It's always been the intention to go to America. "It's 99% nailed on that he'll go over there. "He doesn't want to uproot his family at this stage of the season over there." McCourt is a free agent after leaving Celtic. The Major League Soccer season ends in October and it is thought he will be looking to earn a move for the next campaign.